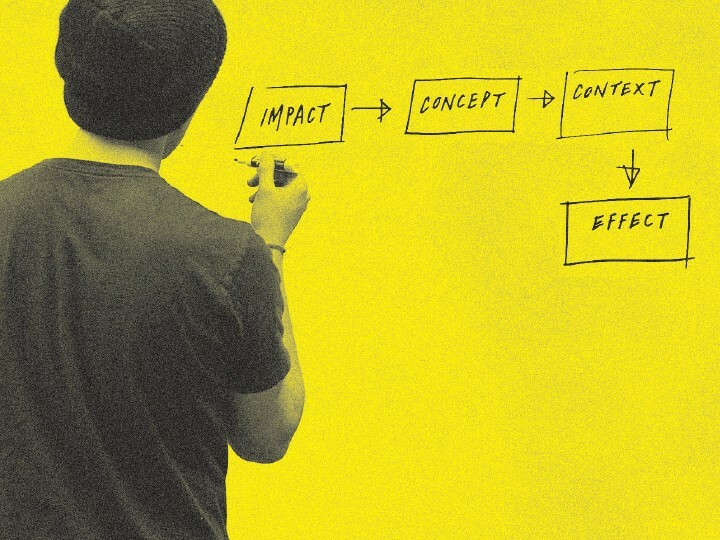 A new design competition from the National Gallery of Victoria (NGV) is placing a spotlight on current social, environmental, cultural and community issues. 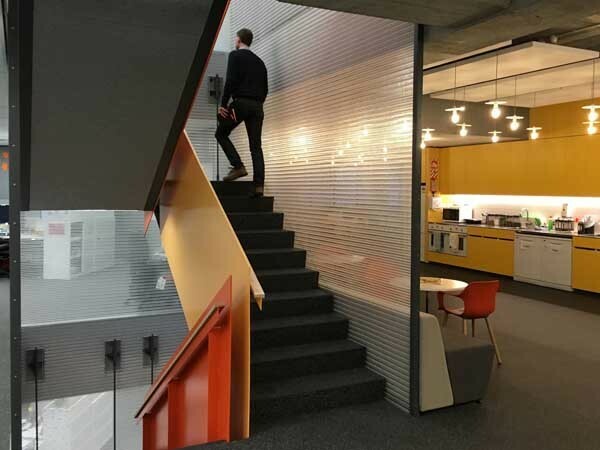 Kaynemaile™ developed a custom balustrading solution for a three-storey stairwell in an existing office in Wellington. 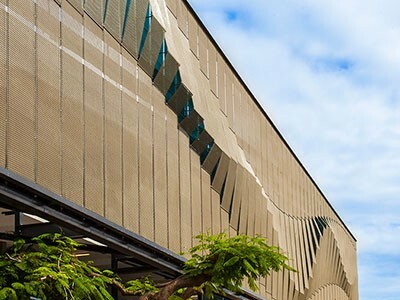 Architectural façade product Kaynemaile Armour™ gives significant solar reduction combined with a wide scope for design – all while maintaining visual transparency. 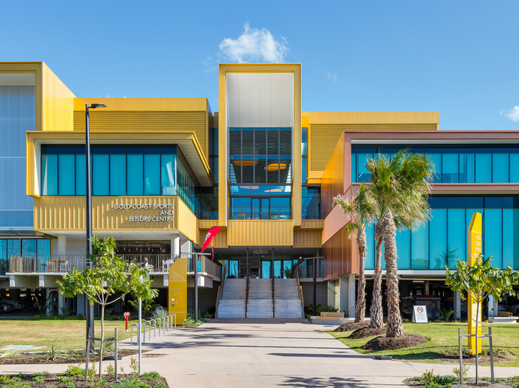 As the countdown for the Gold Coast 2018 Commonwealth Games begins, the Gold Coast Sports and Leisure Centre is emerging as the centrepiece of the newly revitalised Carrara Sports Precinct. Is the cladding on your building combustible? 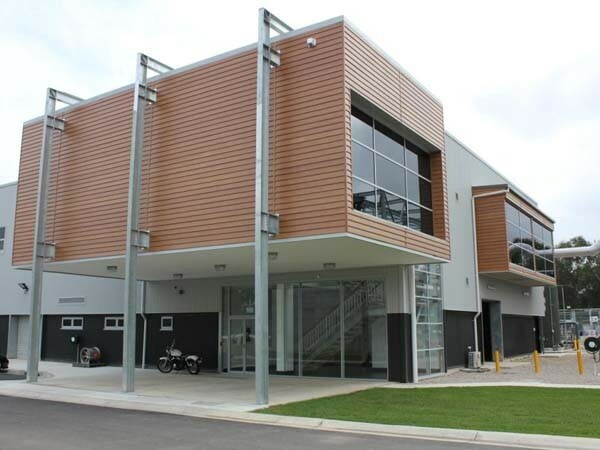 Cladding products are making news across the world with several fire incidents directly traced to combustible cladding installed in the affected buildings. 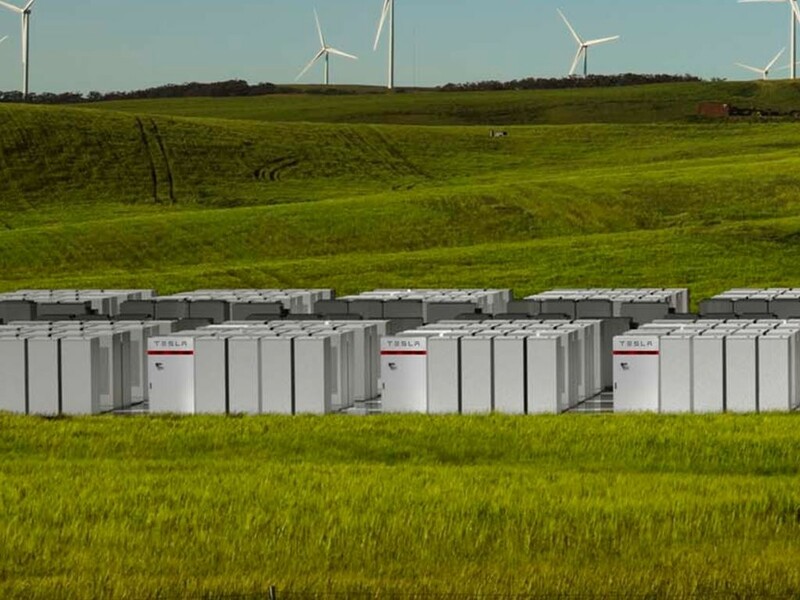 Tesla CEO Elon Musk’s vow to install the world’s largest lithium-ion battery storage system in South Australia within a 100-day window has been honoured, with the company has completing construction of its 100 MW/129 MWh Powerpack system at the Neoen’s Hornsdale Wind Farm near Jamestown. 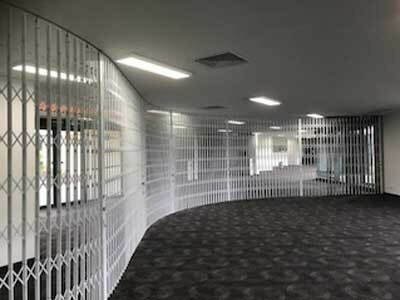 A commercial security screen from The Australian Trellis Door Company (ATDC) was installed at the well-known Kooringal Golf Club in Altona, Melbourne to divide a large function room. 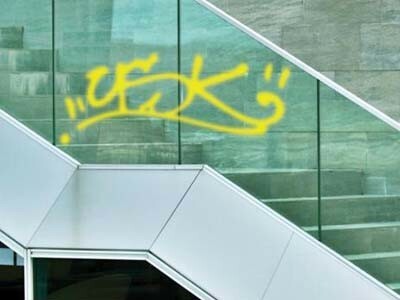 The 3M anti-graffiti window film available from Sunscreen Window Tinting offers the first line of defence against damage for a wide range of surfaces from bathroom mirrors to public transport. 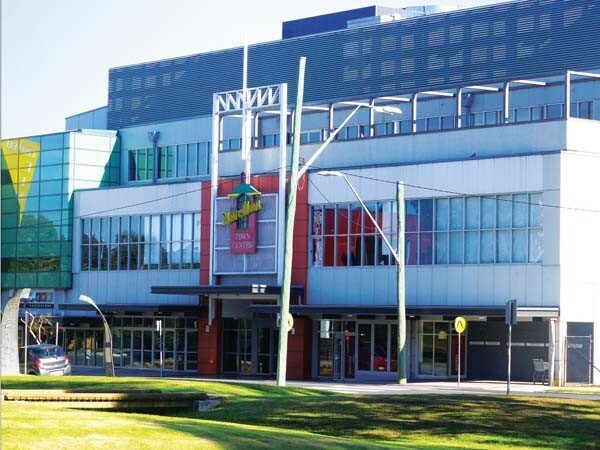 A newly installed Hercules air conditioning system from Actron Air achieved significant savings in energy consumption compared to a two-stage fixed speed air conditioner during a study conducted at a shopping centre in Narellan, NSW. 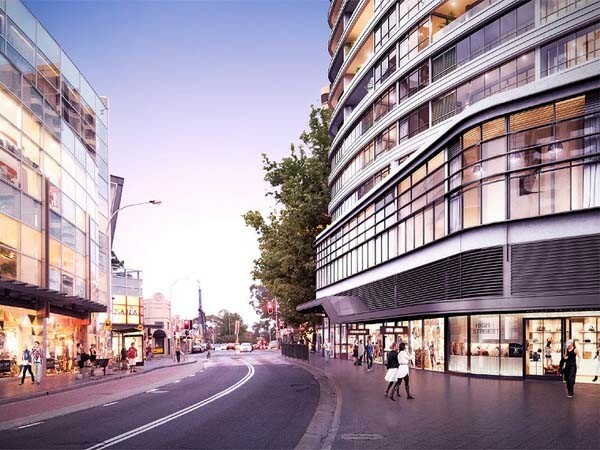 Safetyline Jalousie louvre windows were specified by the architects for a new apartment project in Bondi Junction, NSW to meet aesthetic, functional and safety objectives. 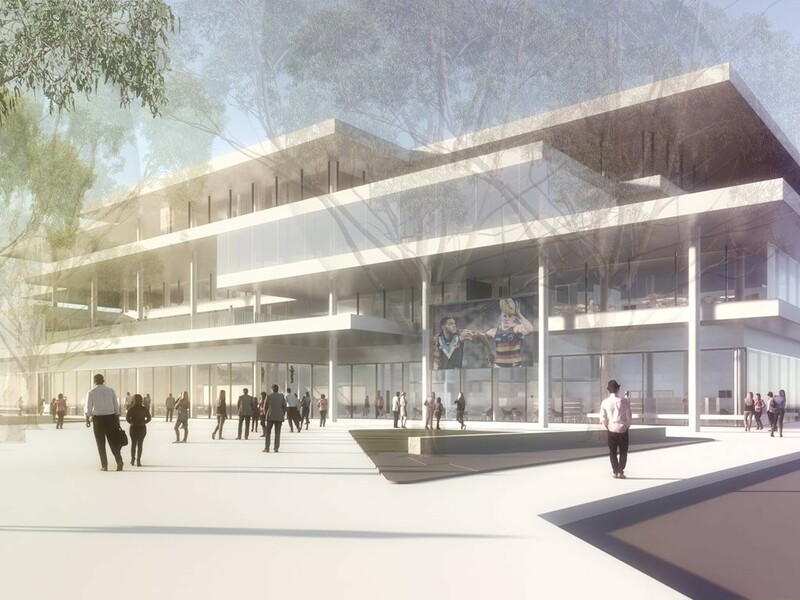 South Australia has proposed building a $44 million Community Hub that would create 150 new jobs as one way of bringing Adelaide into the new post-Holden era. 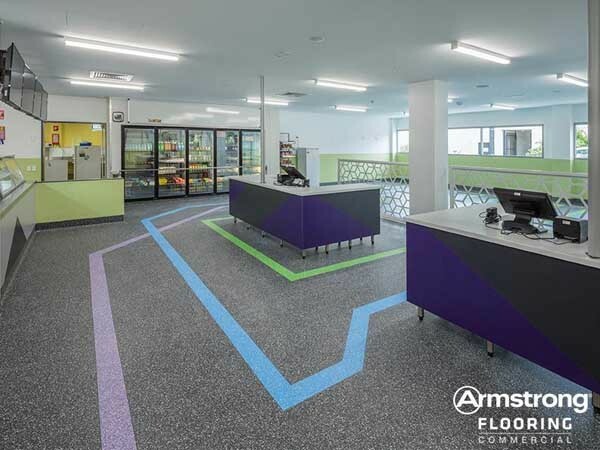 Two vinyl sheet flooring ranges from Armstrong Flooring Pty Ltd were specified for the Casuarina Secondary College in Darwin, Northern Territory.